The Aboriginal Projects Program at Craft is “committed to sharing Victorian Aboriginal craft with wider audiences by highlighting the impressive tradition of skill and creativity that exists within the Koorie craft community.” In this spirit Craft joins with Donna Blackall and Cassie Leatham, from the Victorian Aboriginal Weaving Collective, to bring us an Aboriginal weaving workshop. 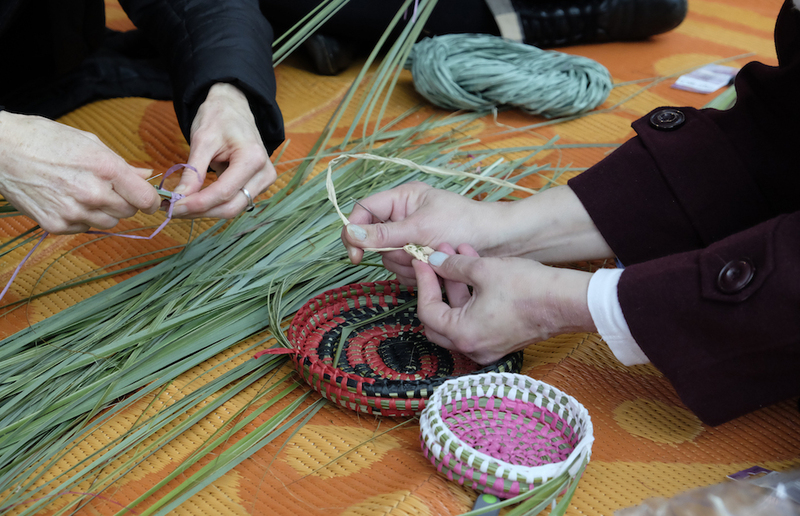 Meet with Donna and Cassie as they share with us traditional weaving skills and materials on this Sunday in Queen Victoria Gardens. All are welcome, whether you’re a seasoned weaver or completely new to this wonderful craft.